Arsene Wenger has a tough decision to make when it comes who his central defensive partnership is this afternoon. With the Frenchman resting his compatriot Laurent Koscielny in midweek, Arsenal's number six is fresh and ready to play again prior to joining up with the France squad for their forthcoming international fixtures. Thomas Vermaelen is fit once again and ready to take on another 90 minutes of football, despite feeling "stiff" after Tuesday night's game with Marseille. 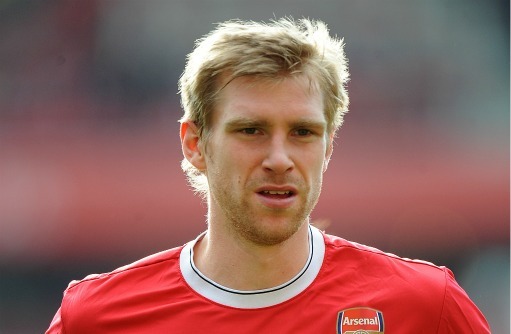 And Per Mertesacker fresh from Tuesday night's clean sheet can surely take to the field again to take part in what will be his eighth consecutive league game for the club since signing for the Gunners at the end of August. Wenger must decide though which of the two will start in the centre of defence. I expect the Arsenal boss to go for the Koscielny/Vermaelen partnership which offers his team more defensive recovery against a West Brom team which is full of pace. With Robin van Persie set to return at the pinnacle of the Arsenal forward line in place of Ju Young Park, I expect there to be only two chances from the side which drew with Marseille. I'll post the official line up once it's announced.